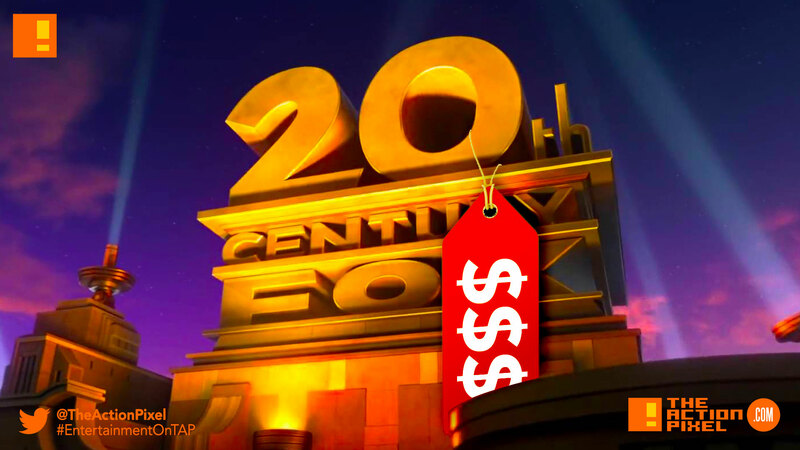 News of Disney-20th Century Fox merger has been at the forefront of entertainment news in the past months, and for good reason. The merger, as well as the planned Disney+ streaming service, stand testament to the far-reaching power the giant will have in the entertainment industry. But at what cost? We hinted at what could possibly happen post-merger. And now it is likely now these hypothesised fears will become reality. Alan Horn, the Film Chief over at Disney, recently gave a The Hollywood Reporter interview speaking about the merger and Disney-owned franchises, and the forecast is colossal in scope. But as often with ‘big picture’ scenarios, the finer details get abandoned by the wayside. Horn, speaking on the rich franchise films of 20th Century Fox, admitted that the more mature, adult-orientated films and franchises will like not survive the merger. With Fox, we can make movies that right now I say no to. Take Bohemian Rhapsody, which is PG-13. It’s a hit movie and very, very good. But there’s no way we could make it under the Disney label because the characters smoke cigarettes and other content. Nor could we have made [Warner Bros.’ R-rated] Oscar-winning Argo because the characters smoke and use the F-word. We always have to think about the smoking policy. The audience for a Disney movie may not know what they are going to see, but they know what they aren’t going to see. There are certain things we just can’t include because we’ll get letters. This is partly the reason I also felt that the Deadpool movie camp made an effort to transform as much as possible the R-rated Deadpool 2 film into a softer PG-13 Christmas movie, as to prove their willingness to comply with the sanitised, refined, squeaky-clean images that Disney could peddle. There’s a lot of trees. Germinate them. I, as well as Logan‘s director, often argued that the likes of 20th Century Fox-owned Marvel films, in part, allowed for more creative interpretations of the X-Men franchise. Sure, they did not get it right all the time. But for the times they did, they made the comic book tapestry a bit bright. Or grimmer, depending on your film sensibilities. Disney (by themselves) would not have made an Argo or Bohemian Rhapsody. And by that level of reasoning, they would not have made a Logan or a Deadpool either. Or The New Mutants. This, frankly, spells disaster for creativity and variation. Particularly with the MCU feeling like it is on the nook of a plateau with wildly varied reviews of the coming Captain Marvel. Star Wars on its IX life? I just got back from the United Kingdom, which is not so united. (Laughs.) I went to the set, and was with J.J. [Abrams], Kathy and the cast. I watched a couple of scenes being shot and then we all had dinner. I have not seen a cut of it yet, but I watch dailies every weekend and send J.J. and Kathy a note every weekend. It’s a big deal, and it’s going to be terrific. Saw that? He says nothing in the ways of admission that Star Wars fell off-course to begin with. Marko? Solo. And it is apparent Disney’s main concern is infrastructure with the coming streaming service – Disney+. Alan Horn says he, as well as associates, find themselves ‘wearing two hats’ in dealing with additional responsibilities brought on by taking on the streaming giants Netflix and Amazon on their home turf. Whilst Alan Horn says he likes Disney’s odds at excelling, any content created at the cusp of this streaming service is dangerously parading under the column of fodder content rather than a thoughtful series executed with the fans in mind. Not just the fans’ purchasing patterns. Which now has me personally looking somewhat side-eyed at The Mandalorian. Disney is too big to fail at this point. They own too much. Money. Franchises. Companies. Intellectual Properties. As such making a eco-system that is self-sustained and creates, gatekeeps and disseminates content is the only logical step for the conglomerate. Hence Disney+. But content quality will become diminished as a result. Not enough new creative voices. And tell a creative there is a ceiling, and he/she will likely feel too stifled to create anything worthwhile. 20th Century Fox could have been a good release for Disney. A place to house more adult content, like a step above Buena Vista. However, Disney is all about consumption, and their plan is to have everything – production, distribution, streaming – all under one umbrella. For easier management of course. It is hard not to see this current course will not only bring us the greatest consolidation of entertainment the world has ever seen, but also the most mundane.